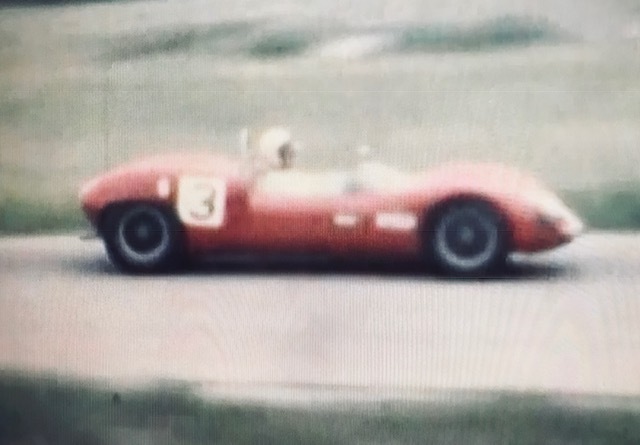 In Northern Illinois near the Wisconsin border, there was a short road course built around some small ski slopes called WILMOT HILLS.I believe it was built in the late ’50’s for races held with the Mid West Council Region of the SCCA out of the Chicago area. 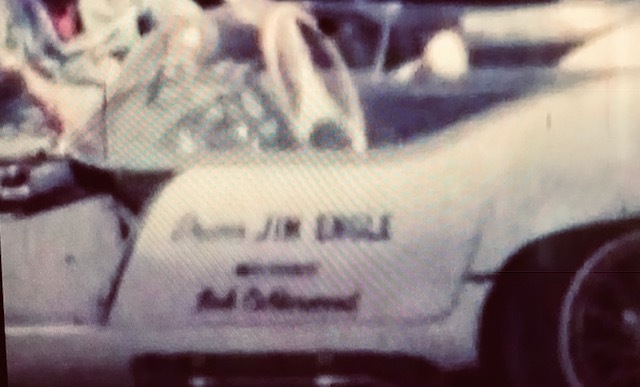 I was just a youngster then but got to hang out with my Dad and Uncle and a few of their friends and sponsors, like Jim Engle of the then Engle Tools and Cams, to be around the wonderful early SCCA road racing atmosphere. 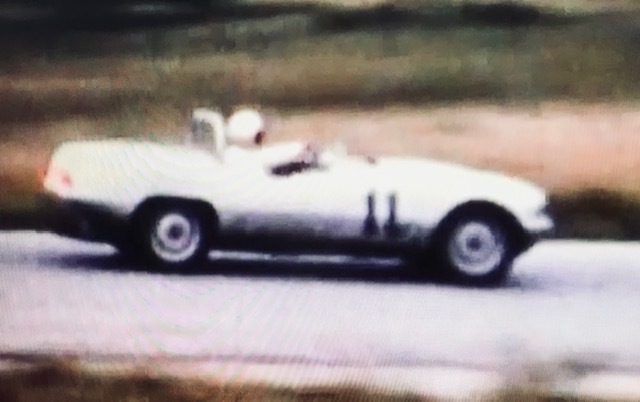 My Uncle and POPS ran an Elva Courier in E Production against many of the top and upcoming drivers of that era. 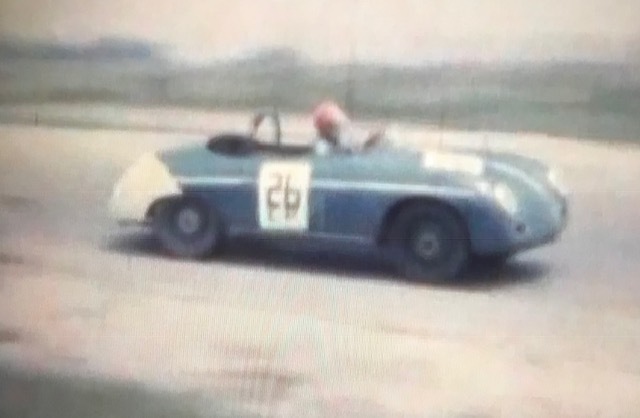 Recently I was able to uncover some old 8mm film footage we had hiding for many years, and as part of our new RACE MOTION PIX, we are in the process of digitizing some of these old regional race “short clips” and will be posting soon to You Tube and our other sister site at www.racemotionpix.com. 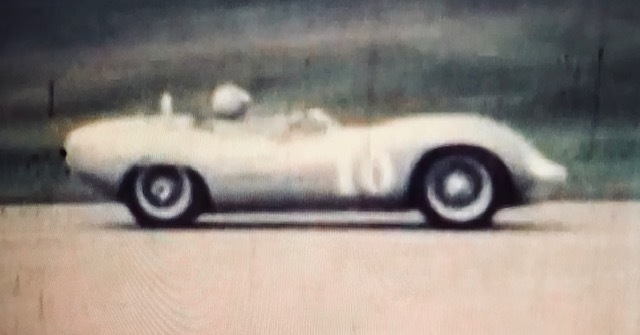 Here are just a few “rough” screen clips from couple of those films. 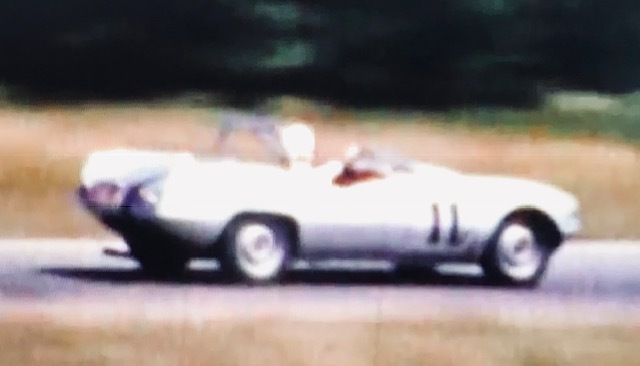 We will also be putting up some more shots and footage from Early ’60’s Riverside Times GP and some things from Road America at Elkhart Lake.. Please come back soon and TACH IT UP……..!!! On the grid for start of E and D Production race and getting the OK to run with the Tape Door. 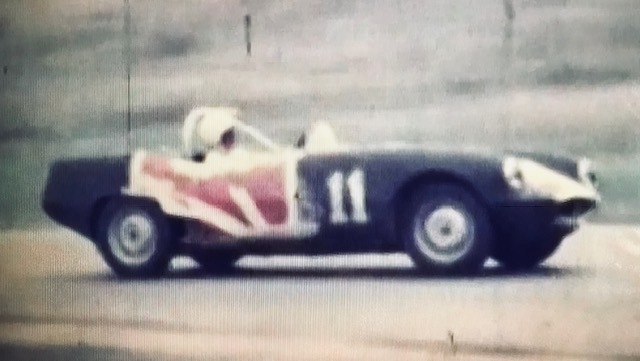 Try that now with the SCCA officials…….NOT! 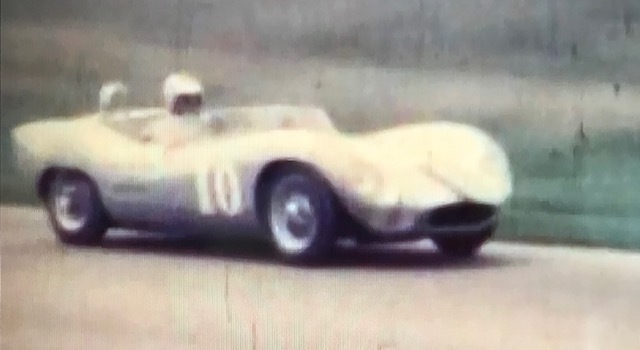 A spin by the leading Yellow Elva 72 at the kink in the heavier rain and a little “KISS” between ELVA’s……Bob in Silver 11 on to Victory after this classic shot from movie sequence…. 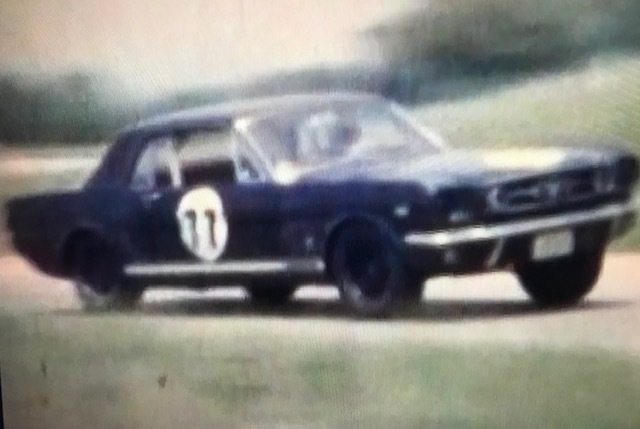 Bit later in ’66/’67 a good friend of Pops and Team running one of the first GT Coupe Mustangs. 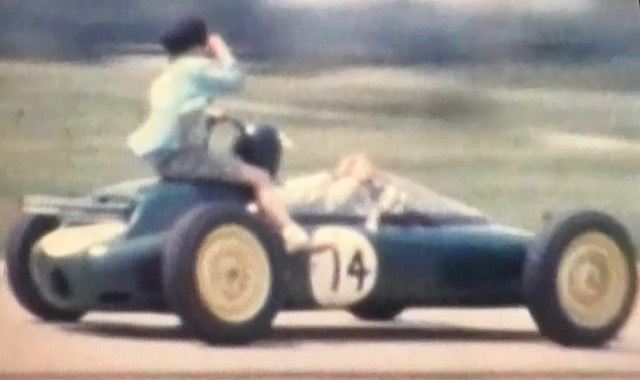 Cool Machine in “Bullitt Green” before it was popular.. 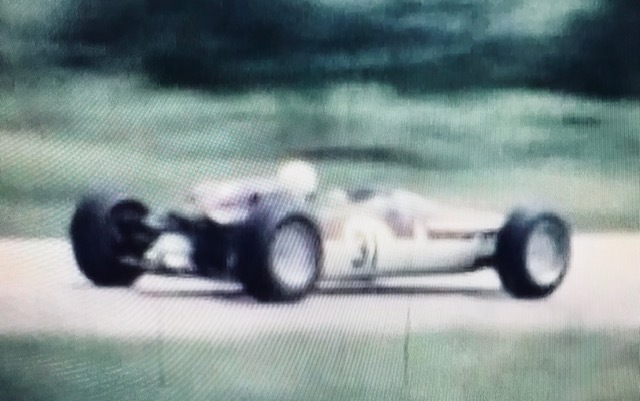 Formula 2 Lotus in the open wheel class. Not a great shot. 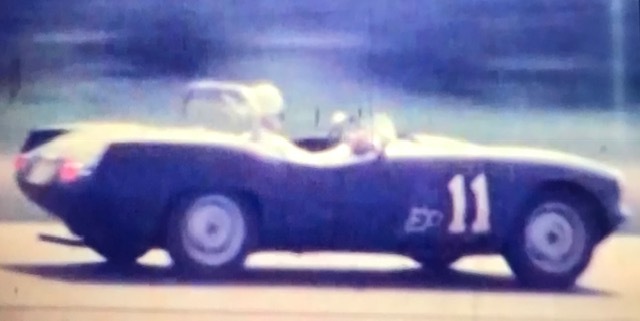 Much better pics in the upcoming digitized footage. 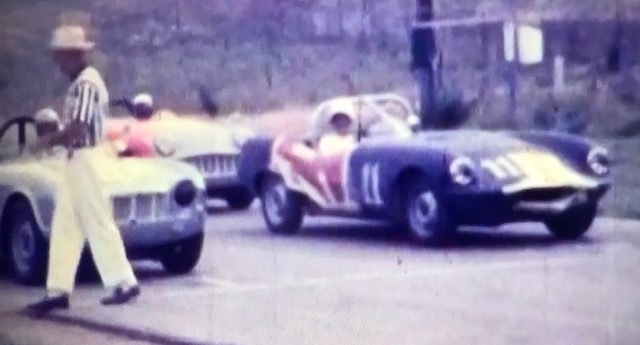 Very rare to see at the time and the car ran away from everyone…. 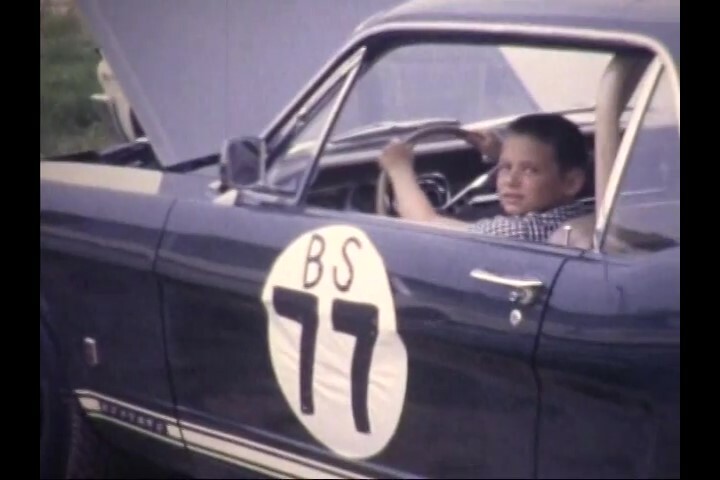 Yours truly as a budding young racer in the first of many Mustangs……Thanks Arnie! 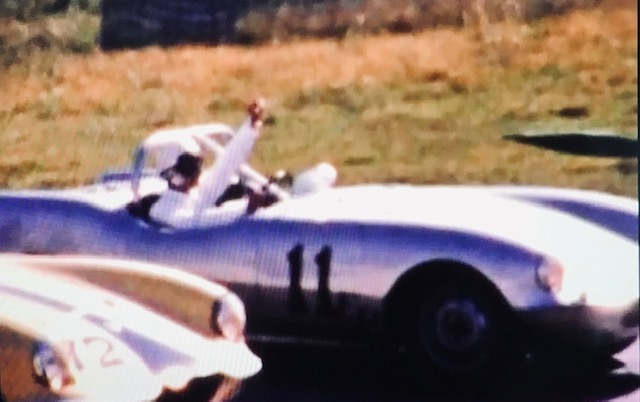 Victory Lap!……I do not think you will see this at too many races anymore. 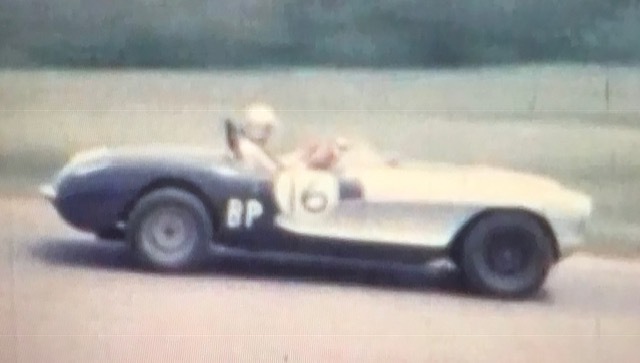 The ENGLE Trojiero on track and in the pits in the Team Silver and Dark Blue center stripe……. Another “Team Car”. 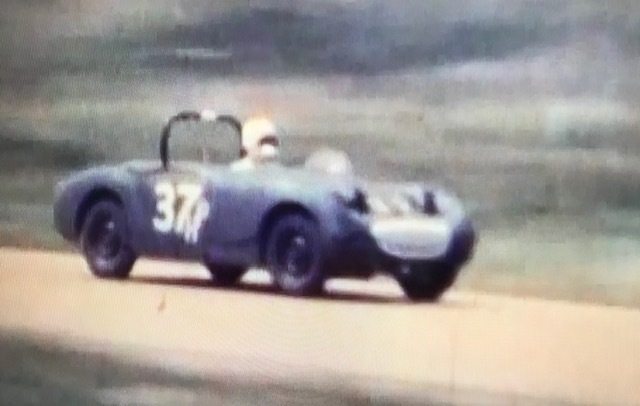 Early ’60’s Austin Healey “Bugeye” Sprite, but this one had an aluminum block V-8 Buick shoe horned into its engine bay…..It was fast!